Food trucks are all the rage right now and, for me, they definitely live up to the hype! 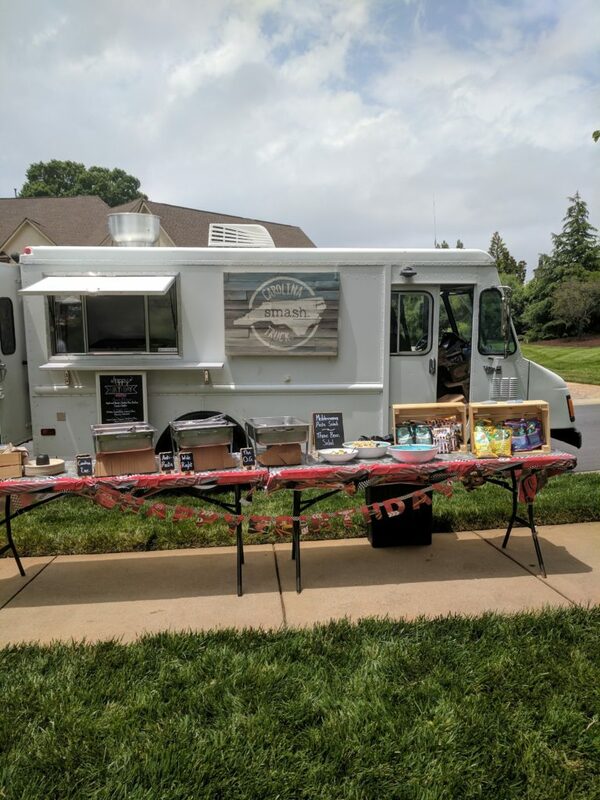 We celebrated Brexton’s second birthday recently and when I was trying to think about how I was going to feed all our friends and family I had the perfect idea… a food truck! 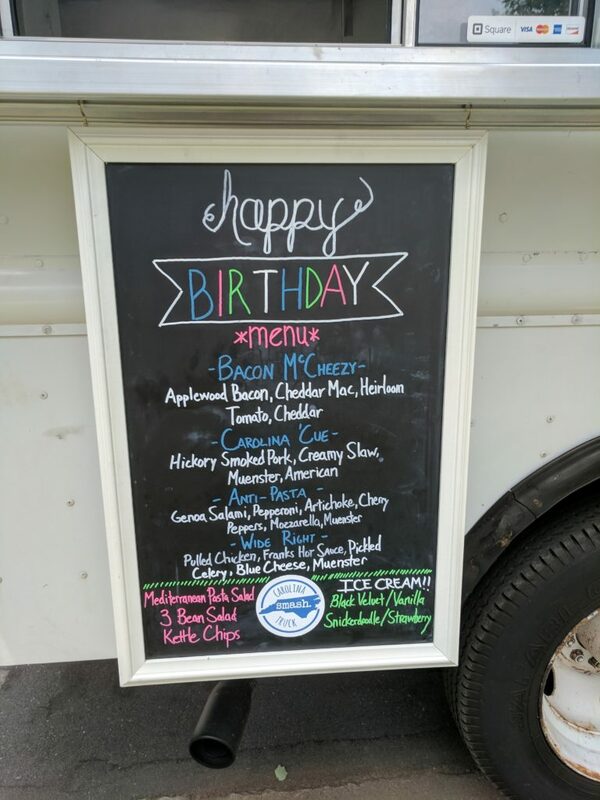 I recently met this great couple that own a food truck and live near our neighborhood, so I invited them to cater Brexton’s birthday party and I’m glad I did because they were a huge hit! 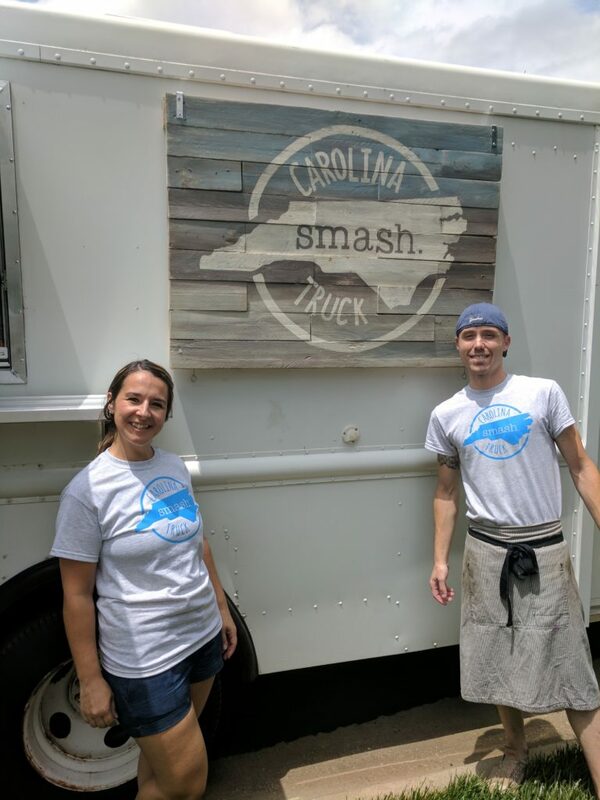 The truck is called Carolina Smash Truck and was started by Bobby Lamby who is originally from New York. When he moved to Charlotte he worked for Cowfish/Eez (both amazing restaurants! ), but his dream was to open his own food truck and that’s how Carolina Smash Truck started! Not only is the food amazing, but what they specialize in is even better… GRILLED CHEESE! Who doesn’t love grilled cheese?! They are probably some of the best grilled cheeses I’ve ever had too. Yes, they make the original – which is AMAZING, but they also make lots of creative variations! For Brexton’s birthday they made a special menu with many choices of grilled cheeses. One of the standouts was definitely the Bacon McCheezy. It was basically mac and cheese inside of a grilled cheese with bacon and tomatoes to top it off. I promise, it was as amazing as it sounds! My other fav was their buffalo chicken which had blue cheese melted into a spicy buffalo chicken with celery in it. The Carolina Smash Truck had the cutest set up for our guests to choose what they wanted and their biggest hit wasn’t even the grilled cheeses, it was their ice cream sandwiches! If you ever come across this truck, their homemade ice cream sandwiches are a must try. 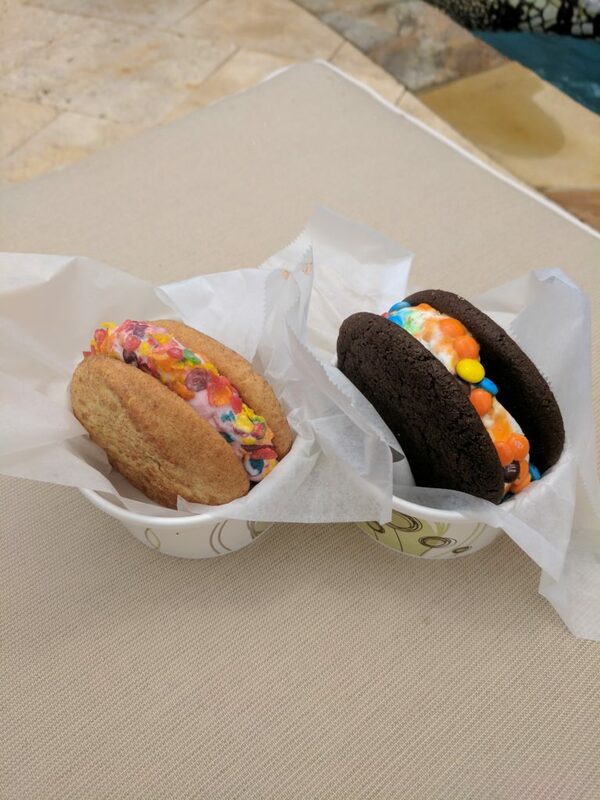 For our party, there was a snickerdoodle cookie with strawberry ice cream and fruity pebbles and a chocolate cookie with vanilla ice cream and M&M’s. They were HUGE and to die for I don’t know who was more excited, the kids or the adults! To say the least, having the Carolina Smash truck was a great idea. If you live around the Charlotte area and you are a grilled cheese lover you should check them out!